Use our Hotels.com deal and you can save big at some of the best Vegas hotels that don’t normally offer a lot of discounts! Hotel deals for The Cosmopolitan, The Wynn and Encore, The Venetian, The Mandarin Oriental and more. 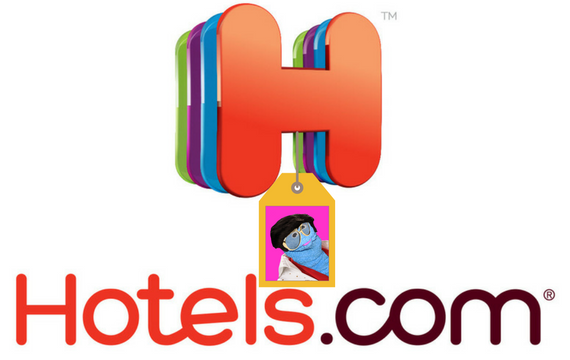 Just click on your friend Coupon Puppet below to get this Hotels.com deal. Don’t get us wrong, we here at Coupon Puppet are no stranger to the $23 Vegas hotel room. I’m looking at you, Excalibur. But sometimes you want something a little more…luxurious. Maybe it is your birthday or wedding anniversary. Maybe you want to impress a special someone. Maybe you have oodles of money and the idea of a $23 hotel room makes you snort with derision. Whatever the case, Hotels.com can help you out with deals on the best Vegas hotels. I mean, just because you have oodles of money doesn’t mean you don’t like a good bargain, right? Currently, at the time of this writing, Hotels.com is offering up to 15% off at Encore and Wynn, 20% off regular rates at The Mandarin Oriental, up to 25% off at The Cosmopolitan Las Vegas(!) and more. Those numbers may not stay exactly the same, but you can always count on Hotels.com to save you some coin on some swanky Vegas digs. Actually, you can count on Hotels.com to save you some coin on hotels just about anywhere. We have used Hotels.com to get great rates on hotels across this great land: from Washington DC to Paso Robles CA to Seattle WA to Austin TX. And even some Canadian hotels too! You can use Hotels.com for many more exotic places as well. They’ve got eighty-five websites in thirty-four languages! And they have been around since 1991, so they must be doing something right! Coupon Puppet Loves Saving You Money At The Best Vegas Hotels!